A new initiative called the “I’mPOSSIBLE” programme has been launched in Singapore to empower teachers to learn more about disability sports. The aim is to change the mindset that disability sports is hard to execute and to impart a “can do” spirit among participants. The I’mPOSSIBLE programme is an education programme developed by the Agitos Foundation and the International Paralympic Committee’s (IPC) development arm to spread Paralympic values and vision to young people. Singapore is the second nation after Japan – the host nation of Tokyo 2020 Paralympics – to share the programme with educators. Singapore Disability Sports Council (SDSC) partnered with the Agitos Foundation, the Nippon Foundation Paralympic Support Centre, the Global Sport Development Foundation and the Japanese Paralympic Committee to bring the I’mPOSSIBLE workshops to Singapore on 7 and 8 Nov 2018. A total of 100 pre-school and primary school teachers from the Ministry of Education (MOE) and the Ministry of Social and Family Development (MSF) attended the workshop. The teachers acquired skills that enabled them to gain and share new knowledge on how to engage students with disabilities in sport and also nurture inclusive playing time for students of all abilities. Materials and resources were provided to equip teachers with the necessary information to ensure a smooth delivery of the programme’s content. The six educators will be tasked to lead the next session of the I’mPOSSIBLE Programme in March next year. 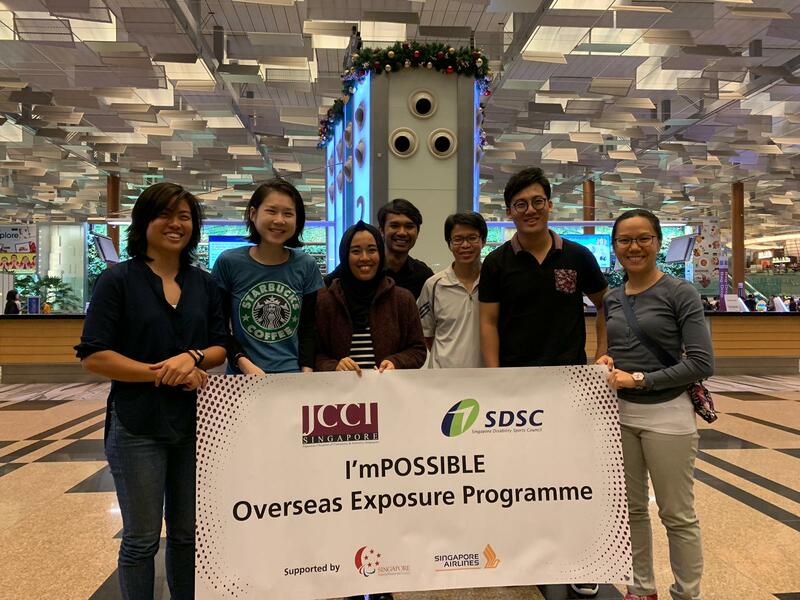 The programme is sponsored by the Japanese Chamber of Commerce & Industry Singapore Foundation (JCCI) to ensure that the younger generation will be a catalyst of change for the future. Mr Tomoyuki Kuwata（桑田知之), the Chairman of JCCI Singapore Foundation & President of JCCI, Singapore, noted that the programme goes a long way in promoting inclusiveness. “As an inspiring quote by Nelson Mandela goes, ‘Education is the most powerful weapon which you can use to change the world.’ JCCI Singapore Foundation believes that to change the world for disability sports, educating the youth is fundamental. SDSC’s initiatives on the I’mPOSSIBLE programme to carry out a series of school engagement to promote the education of disability sports matches our belief. Leveraging on the leadup to Tokyo 2020, we hope to see more youth with disabilities be involved in sports!.” said Mr Kuwata.